Irrfan Khan is loving his comeback to a film set, and is excited about telling a new story with ‘Angrezi Medium’. 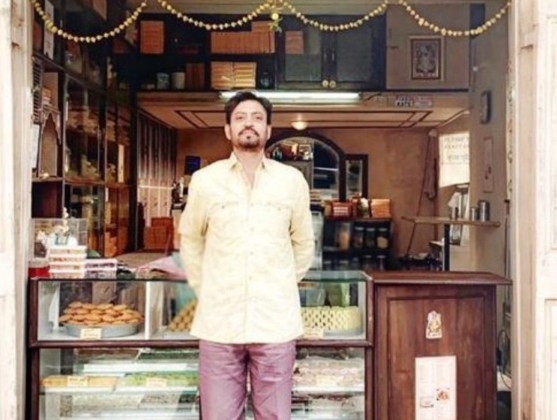 The actor, who had been lying low for around a year after being diagnosed with neuroendocrine tumour, will be playing a sweetshop owner in the film, which is a sequel to his widely appreciated 2017 entertainer ‘Hindi Medium’. Khan on Monday shared a picture from the film’s set in Udaipur, Rajasthan. “GMB [Ghasiteram Mishthan Bhandar] serving since 1900s. It’s going to be fun to tell another story. ‘Angrezi Medium’. Coming soon, with Mr Champakji,” Khan captioned the picture.